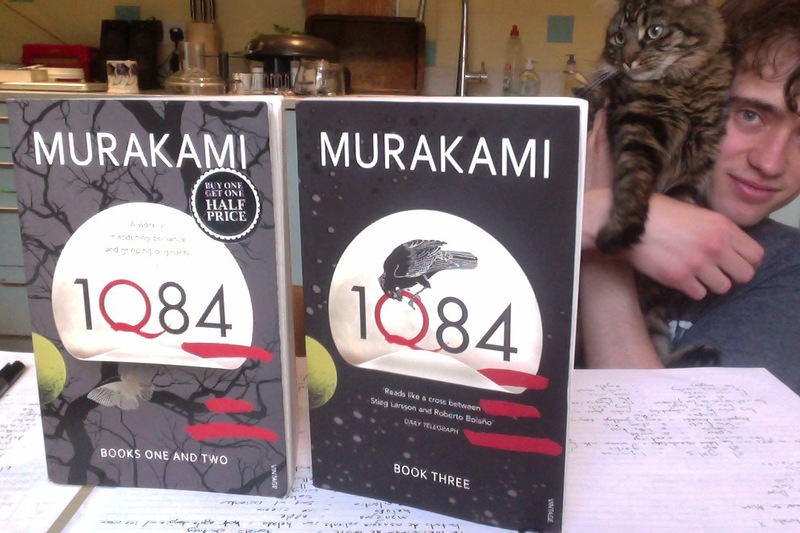 I decided to treat the whole of 1Q84 as a single novel, rolling through from the first volume to the second. This was a mistake. The first two books are fast-paced, densely-packed with action and inventive descriptions of a world slightly different from our own. There are lots of characters, many of whom are memorable, most explored with detail. It is a fully-realised slightly fantastical world, and it is switches between the perspectives of two characters, a man and a woman, each who is searching for the other. She is an assassin, he is a maths teacher/aspiring novelist, and they both become involved with a sinister cult called Sakigake. The first volume builds and builds and ratchets up the tension as the main characters and their associates are pursued by the cult they’ve angered, it gets quite exciting, I really wanted to move on to Book Three… But all I got was disappointment. All of a sudden the pace slows. The characters become literally static, the novelist at his father’s deathbed, the assassin in a safe house. Very little happens. New to this volume, the reader gets the perspective too of a private detective who is on their trail. But these sections read like expositional reminders of what happened in Books One & Two, and although more happens in these sections, it lacks the mystery of the earlier story as the reader already knows where the missing people are. As well as its much slower plotting, the third book also leaves a lot of unanswered questions – drops characters, doesn’t explore the cult much further… It’s just not as good, basically. And that’s a real shame. 1Q84 is an amazing novel. It took me quite some time to finish the book. I think some of the translations from Japanese to English read a bit clunky, which kills the beauty of the prose. Anyways, slow down and enjoy the sentences. You’re picking some excellent books to read. Keep it up.